Annotation: How do you prepare teens for the world filled with jobs, technologies, and challenges that don't even yet exist? 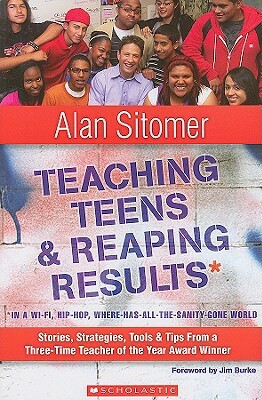 Take a pull-no-punches, inspirational trip inside the classroom of Three-Time Teacher of the Year award winner and celebrated young adult novelist Alan Lawrence Sitomer. Hear stories, discover teaching tools, and gain insights straight from the private file cabinet of his high school classroom. Yes, there are educators breaking through to today's teens in remarkable, innovative, reproducible ways. Meet one and learn his best strategies.